Classified website to learn languages and cultures - Linkoscope.com, how does it work ? 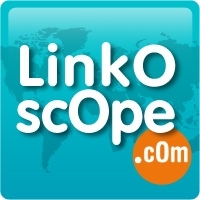 Linkoscope.com, how does it work ? You are offering : services connected to language learning - teachers, babysitting, Au-pair, bilingual nanny.. Please do not hesitate to register and post your ads for FREE. Our new Premium Services will soon be available. People you have chosen. Our services match your needs in order to easily contact people. Subscribe to our alert service for FREE and you will automatically receive ads which match your search criteria.